Has anyone else been taken by the beautiful pastel coats on the streets of Paris outside the Spring 2014 Haute Couture fashion shows? I posted on the pink coat trend a couple months back, but on the streets of Paris this week fashionistas are trading brights for lights. 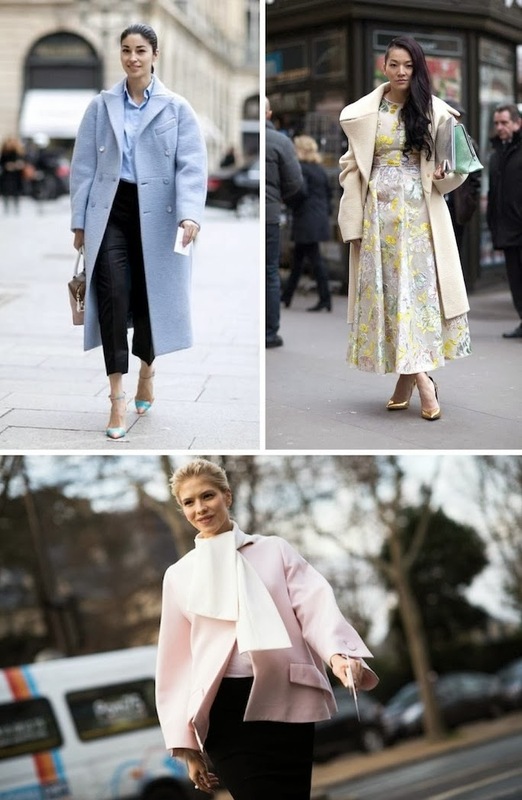 From creamy yellow to sea foam green to baby blue, these coats make braving the cold look like a walk in the park. pastels will never get old! love how it looks, even in the cold. Love the pink overcoat in the second post, it looks great.